According to Microsoft‘s latest statistics, users from the whole American region migrating to Office 365 are on the raise. This platform, which implies a change in the way in which employees work based on current market demands, is on the loose, with Perception Group as one of its main deployers for the region. One important aspect of this product is not only the fact it keeps the eternal word processor and spreadsheet tools but also includes these four fully synchronized elements for work: exchange, the new version of the popular mail with its own intelligent calendar, sharepoint, the information and document sharing system with larger storing capacities, the office package, updated with a friendly interface and more tools, with access to and possibility of edition online and the newly made Lync, communication platform, instant messaging and, after all, another element for collaboration. One should also bear in mind the online and app versions. In line with a dynamics work market, the mobile version includes all the necessary tools for working in any place, erasing distances when it comes to team work. The tools main focus is what Microsoft calls their Business Productivity module. The main objective of this is to optimize the way in which companies work according to the demands of the current work market. 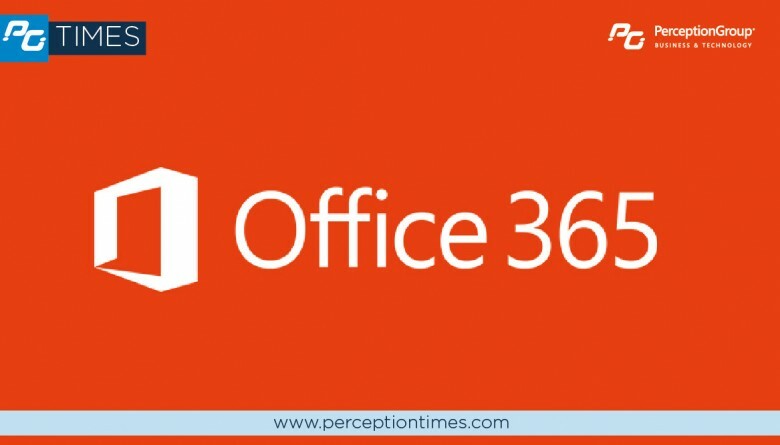 That is why Perception Group works with the Office 365 tool to adapt to their clients specific requirements. To learn more about this, visit the products official website at www.office365.com.